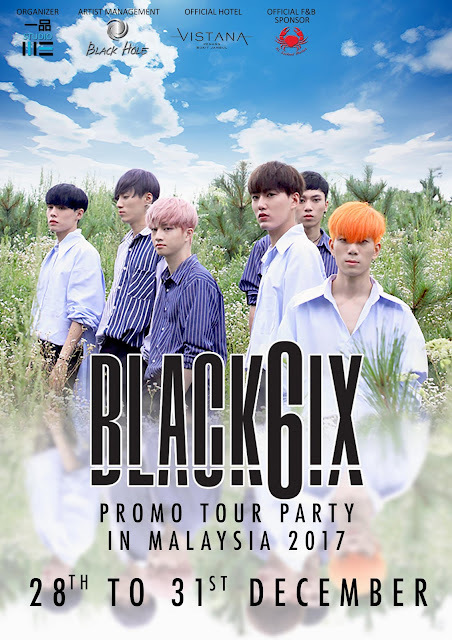 BLACK6IX formed under Black Hole Entertainment consists of 6 members, Tae Young, Yong Seok, Jong Woon, Ziki, Yey and The King will start their first overseas schedule in Malaysia. 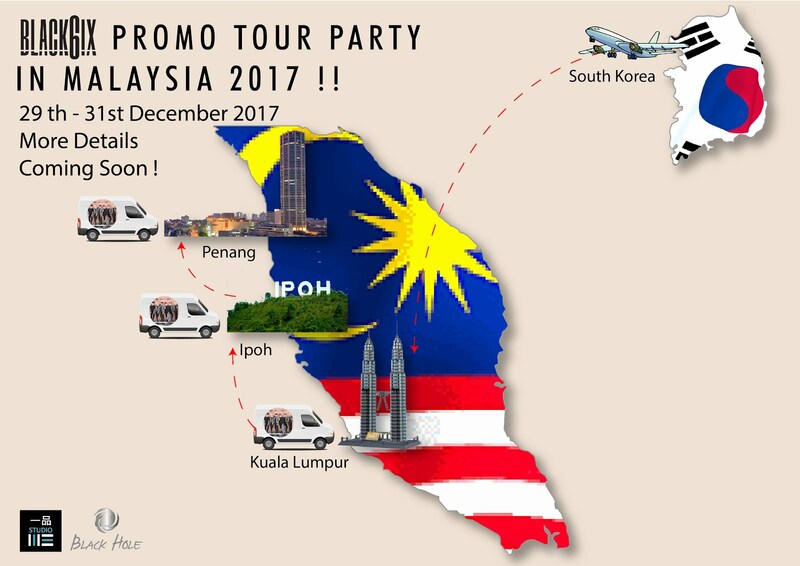 Titled 'BLACK6IX Promo Tour Party in Malaysia 2017', BLACK6IX will be visiting 3 cities - Kuala Lumpur, Ipoh and Penang throughout their 4 Days 3 Night promo tour in Malaysia from 29th December 2017 ~ 1st January 2018. BLACK6IX debuted with their digital single 'Please' in this early April and showed their charisma performances. Through this promo tour held by YiPin Studio, we expect to see BLACK6IX diverse performances via songs like 'Please' and "Like a Flower'. Stay tuned to YiPin Studio for more updates! Also, do check out BLACK6IX Facebook page to know more about them.